Traditional farming involves using chemicals that sterilize the soil and kill insects (both beneficial and pests). This then leaves the crop dependant on synthetic fertilisers for its source of nutrition. These practises have a negative impact on the soil, organisms, insects, birds, larger wildlife and the waterways. 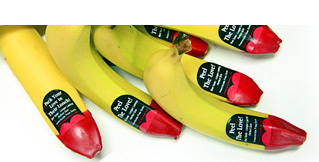 The Ecoganic™ farming system we created to grow our signature, wax tipped bananas means we farm in harmony with nature. Rather than relying on chemicals (synthetic or organic), we choose to employ all of nature’s creatures (big and small) on our farm to grow our bananas slowly, carefully and sustainably. “Hi there, I wanted to let you know how amazed we were by your bananas. We normally buy ladyfinger bananas, but our fruit shop was out and we needed small bananas for our breakfast smoothies, so we got the red-tip kind instead. I knew they were some kind of organic banana, but what we weren’t prepared for was the almost unbelievable difference in flavour from a ‘normal’ banana! We have until now only had a banana in our smoothies at breakfast; we gave up eating bananas by themselves years ago because they just aren’t that tasty on their own. But we were blown away by how ‘banany’ our smoothies were today, and then tried one by itself – it is difficult to believe how much more flavour your bananas have! 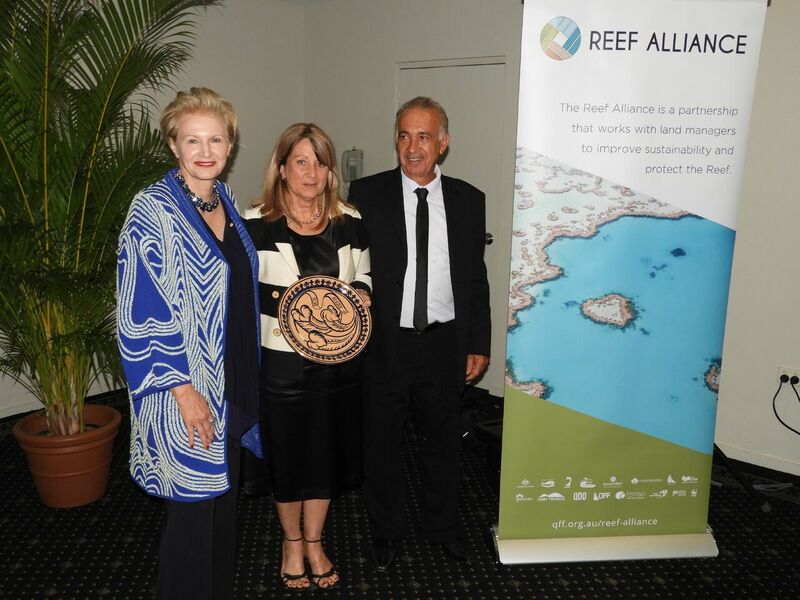 At the 2017 Queensland Farmers Federation Alliance Awards held in Townsville on November 22nd, Frank and Dianne were awarded the Prince of Wales Environmental Leadership – Reef Sustainability Award for their vision, leadership and creation of the Ecoganic farming system. 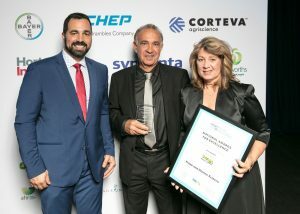 The Ecoganic Protocol was herald as being ahead of its time by MC ABC Country Hour host Charlie McKillop. North QLD based senator Ian MacDonald said the importance of eco-friendly farming practices in the Great Barrier Reef Catchment area should not be underestimated. The award presented by Dr Janine Kirk AM CE of Princes Trust Australia. Http://www.princes-trust.org.au/environmental-and-sustainability/ The Prince of Wales Environmental Leadership – Reef Sustainability Award judging panel engages representatives from the; Australian Government and W.W.F., as well as the Chief Executives of the Queensland Farmer’s Federation, N.R.M. Regions Queensland, The Prince’s Trust Australia and the University of Queensland’s Professor Ove Hoegh-Guldberg. 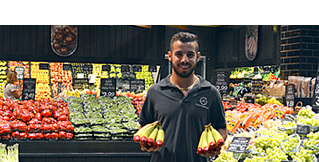 After 20 years of farming the traditional way, we discovered that by trying to grow cheap but “perfect looking” bananas, we had destroyed the health of our farm ecosystem and produced a banana that was tasteless and had poor shelf life. Ecoganics™ is very similar to the way produce was grown before insecticides, pesticides, and fertilizers were created to produce high yielding blemish free fruit. When you taste our distinctive, wax tipped banana you will see that it is creamier tasting, the perfect size for a lunchbox and will last much longer in your pantry. Ecoganic™ farming builds and strengthens the farm ecosystem. We have discovered that mother nature has generously provided all the natural resources we need to grow a healthy crop, sustain a healthy lifestyle and protect the future for our family and yours. Ecoganics™ is very similar to the way produce was grown 60 years ago, long before insecticides, pesticides and fertilizer were created. Ecoganics™ is essentially farming in harmony with nature. 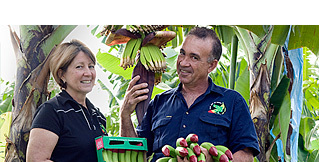 The Eco Banana, also known as the ‘Wax Tip Banana’ is the creation and passion of Frank and Dianne Sciacca of Pacific Coast Produce. In 1998, we began to question the traditional farming methods that were being used. Our respect for nature made us concerned that our farm was being destroyed by the reliance on chemicals to kill pests and the synthetic fertilizers to feed the crop. Our love of nature and the environment was a catalyst to change how we farmed. After many years researching organic and other types of sustainable farming practices, we decided we needed to develop a new way of farming – one that would allow nature to work with us, rather than using chemicals and other products (whether they be organic or synthetic) to alter or fight against nature. Simply put, we created this new way of farming because we care for all living things and we knew there was a better way to grow produce safely and sustainably – without reliance on chemicals, fertilizers, insecticides etc. Ecoganics™ is a patented farming system that proves we can work with the earth’s abundant resources to create a healthier future for our families and our planet.